Sometimes we skip a tooth brushing every now and then, which may seem like no big deal. While, in the grand scheme of things, it may seem like missing a tooth brushing here in there isn’t the end of the world, it may lead to unhealthy dental habits, which eventually could result in serious dental damage! By adopting healthy, regular dental habits, you can lower your chance of tooth decay and cavities. Here are some helpful tips towards a healthy, happier smile! You should brush your teeth twice daily with fluoride toothpaste and floss once. If you want to have impeccable oral hygiene, you may also brush your teeth after each meal or snack. If brushing isn’t a post-meal option for you, thoroughly rinsing your mouth with water will help as well. Using mouthwash twice a day after brushing is a great way wash away leftover bacteria and give your mouth that super clean feel. 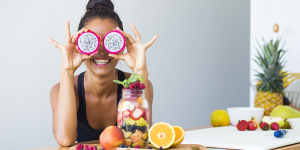 Believe it or not, there are certain foods that are good for your teeth and will help to strengthen them and fight against bacteria and plaque build-up. Some foods that will benefit your dental health include but are not limited to: fresh fruits and vegetables, cheese, unsweetened coffee, tea, and sugar-free gum. Professional teeth cleanings and dental check-ups should be scheduled for every six months. If you have a history of dental issues, or if you know you need special attention, visiting your dentist more often than every six months may be best for you. During your next dental visit, ask about dental sealants. Dental sealants will seal up small grooves and nooks in your teeth, preventing bacteria build-up in those hard to reach places. They can also help prevent tooth decay and can last up to ten years with proper dental care! 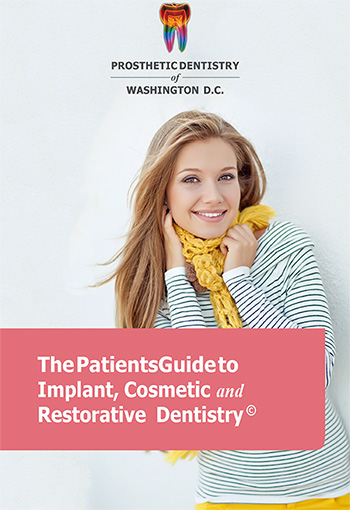 If you have any questions about your oral health, please give us a call at Prosthetic Dentistry of Washington D.C. Phone Number 202-244-2101.